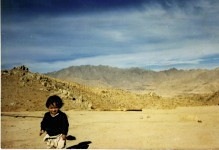 In Watan the girls were never allowed to grow up. One day you were a child playing with your friends from the village, the next day you were wedded off and expected to live as someone’s wife, look after your in-laws, and become a family’s honor. The men, the old men, would sit together and make all the decisions. They aren’t all your daughters. They are mine too. You can’t just give them away like this. He stared at me. He didn’t say a word, and walked out. He paid no attention to what I thought. Consulting your auntie, the people whose lives were in question, was absolutely out of question. A few days later, I was occupied with cooking when your grandfather walked in with Nabi’s older brother. They stayed for a meal. He pleaded with us to approve of this arrangement. I stayed lull, but your grandfather nodded. It was an approval, and the decision was made. My young child was to be someone’s wife. Your auntie was too young to even understand what a wedding meant. She was happy to have new clothes and jewellery. She knew little else, yet she was wedded away. That’s how it was done in the past. The parents would just give away their daughters to whoever they wished. It wasn’t that the parents didn’t love their children; the truth is that it had always been like that. People were bound by traditions. No one bothered to think differently; no one changed anything. The Soviets sent their tanks to Jaghori to take back Sang-e-Masha. There were hundreds of them. We climbed on our roof-top and could see the column of tanks roll into Sang-e-Masha. There were airplanes and helicopters, and other vehicles that I haven’t seen anywhere else. 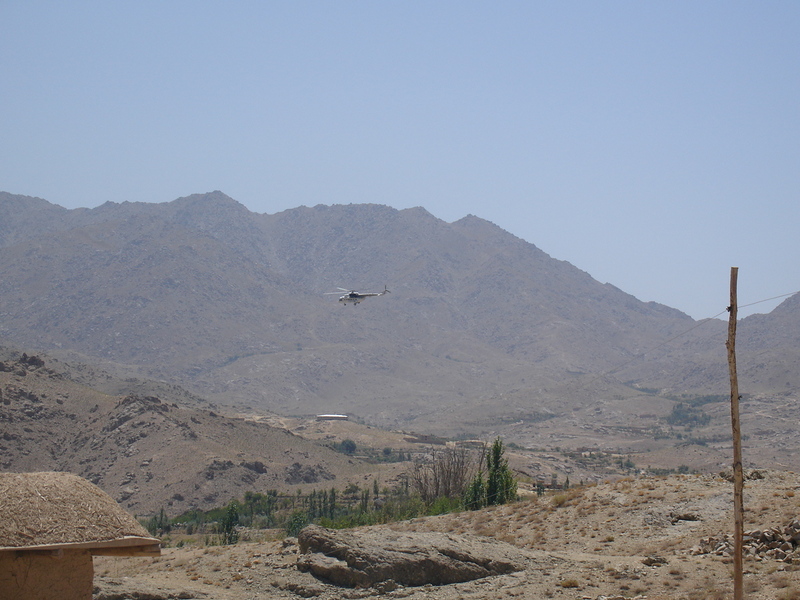 The helicopters fired bombs the Mujaheddin positions on the mountain tops behind Tameer. Some of the bombs were called Parachute bombs. They started with a gentle fall, and then flashed towards the Mujaheddin posts. We could hear the bang and see the flashes of fire. The tanks rolled into the markets, and then rolled into the hills towards Chil-Baghtu. Later they turned around and returned to Lomo, and stayed there. For God’s sake, leave. We are too far up the mountain. The cave can be seen from Tameer. They have binoculars. We panicked. People forced their way out. Some rushed further up the hill, others flocked down the hill. It was chaos. Moments later, something whizzed over our heads and slammed against the Jaaba rock face. Plumes of smoke rose from the top of the mountain. Then there was another. Then more shells whizzed past the hill. Aabay Rasheed and the rest of us screamed down the hill and hid in the trees. Some hid behind the big rocks. We were afraid. Parents forgot their children, husbands their wives, nobody knew or cared where the other person was. We thought that was it. We thought we would all die. Then it stopped. It was all quiet. We didn’t dare move. We stayed put until it was dark. Then some returned to get food, others stayed out in the open. Using gun-firing gestures they asked me if I was a Mujaheddin. I shook my head. Then the soldiers drew lines in the soil like a farmer. In their gestures they wanted to know if I used a shovel and was a farmer. I nodded and using my legs and arms acted out farming and irrigation. They let me go. I didn’t move. They pushed me, and pointed at the road. I began walking but I thought they would shoot. I walked on and on. They stood there and did nothing. The tanks stayed in Lomo for one winter, and the fighting continued. They fortified their positions and mined the hills. After the winter, they returned to where they came from. It was months of waiting before the people returned to their homes. People just could not believe that the soviets and their Iron forts were gone. Now that I look back and think, the Soviets were not nearly as bad as the groups that come after them. The civil war worse than the war against the Soviets. When our people turned on one another, they committed atrocities hundreds of times worse than that of the Soviets. It was the Mujahedin, then came the Taliban, and now they say there is a new group called Damish or Dashi or Daish (ISIS) or Doshi. Those despots are killing people on TV all the time. I hear they don’t even spare children. Let’s wait and see what new calamities they bring upon our people this time around. We lived isolated lives high in the valleys. We were strangers to the changes in the world, or rather they were stranger to us. By the time I first got to watch TV, I had already raised many children. Let alone televisions, many of us had barely seen a vehicle or an airplane. 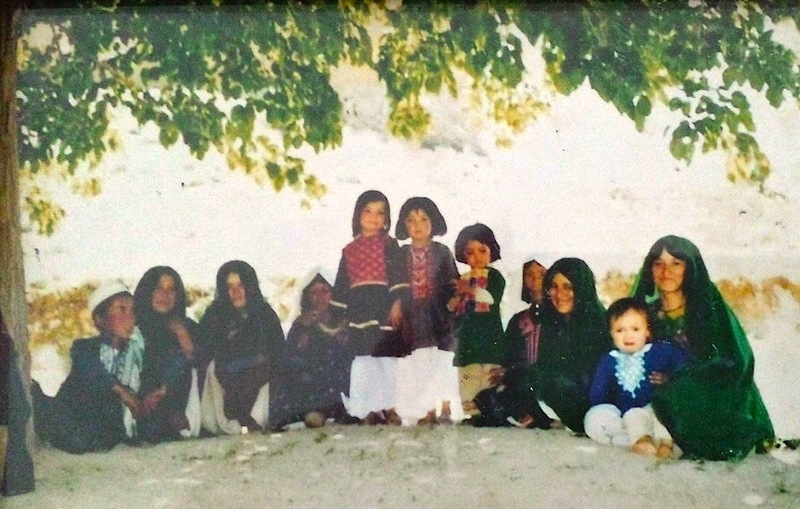 When I visited Kabul, we would gather at Aatay Hafiz’s basement at night to watch TV in secret. He owned a small television set that was easy to hide and put away during the day. Your maternal grandfather was a strict man. He disapproved of television, and called it Haram. We made sure he didn’t find out we all watched TV. It is said that in the Pas-Qad valleys, when the women first saw a car, they assumed it was a type of animal they had never seen before. They called it pesh-ghorghoor-e-pas-khaagbad – literally translated as the thing that ‘makes noise at the front, and blows dust at the back’. Some women even threw grass in front of the car, assuming that if it was an animal, it had to eat grass. That’s how strange these machines were for our people. Things have changed now. Nothing can surprise me anymore. In the year they killed Ali Madad Khan, your uncle was still too young to attend school, and your father worked in Tameer. It was just after Shorawi had left the area, and the factional war had only begun. Ali Madad Khan was a tribal noble. He was old, pious but open minded. Unlike the ones before him, his generation of nobles were good people. They were educated, they had traveled the world, and knew a few things about how the world worked. They helped bring in new equipment for agriculture, introduced new crops, and set up proper schools for girls and boys. The educated children of these nobles rebelled against the old way of life. They became teachers, doctors, engineers and officers. They spoke against the Shorawi and the mullahs. Yet they were only a few in number, and were almost all killed in the wars. Some of them were taken away and killed by the government, others were killed by the Mujaheddin and mullahs. The USSR is worse than the US, the US is worse than the USSR, China is worse than both. 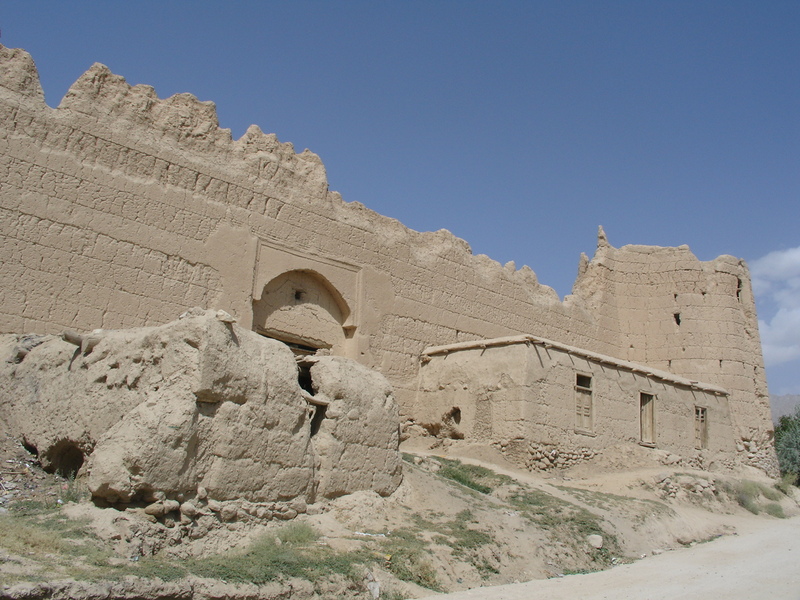 They told the people that Ali Madad Khan had strayed from the right path, and was organizing dance and music parties in his castle. They accused him and his allies of being communists, atheists and apostates, and by decree called for their death. They besieged his castle and shot their way in. The thick walls of his castle were said to have tunnels in them, and the Khan had hid in there. The old man was chased in those tunnels, dragged out and killed in front of his young daughter. Following the execution, the mujaheddin molested his daughter, his only child at home at the time. The Mujaheddin used his execution as a show of power and as a way to terrify their opponents. They did not let his family bury his dead body. When his daughter tried to approach his body, they Mujaheddin soldiers groped her under the pretense that they were searching her for concealed grenades and weapons. The Khan’s body lay in the open for many days. After the body had decomposed, and had been mauled by jackals, the Mujaheddin allowed his brothers to bury his old body. Those responsible for his murder were the mujaheddin, including the commander who later tried to kill your father accusing him of apostasy and being a Sholayee. They killed everyone who opposed them. They were no better than the people they had fought and deposed. They were worse. They came from different parties. Some were called Nasri, some Nahzati, others were in Hezb Islami, and still others in Shora. *Nasri/Nahzati/Hezb Islami/Shora = Islamist Parties active in Afghanistan in the 1970s, 1980s and 1990s. It was the wedding of Aatay Rasheed’s daughter. The party was ready, and on horse-back and on foot, the villagers set off for Thayna Jaar – soon to be the bride’s home. As we set off, the groom’s party sought Aatay Rasheed’s permission to play some music and dance in celebration. He gave a hesitant nod. No sooner had the music started, that these bearded few people began screaming. They were the mullahs, and they pushed their way to the front. They were fuming with anger that someone had dared play music. The villagers and the procession began chanting prayers and salawat. There was no more music, no more laughter, just a loud chorus of salawat. It felt like a funeral procession. Once the procession had reached the outer limits of the village, your father, still young, walked to the front. He held his arms up, jacket in the one hand, and began dancing. The children clapped, some of the men joined in. The women beat the drums. There was music, and the procession danced and laughed all the way to Thayna Jaar. Fearing backlash from your father and the youth, the mullahs could do nothing but watch in anger and despair. It was a good day. But once that was over, they stopped inviting us to the weddings. My nephew Mohammad Hussain got married. They didn’t invite us. Your auntie got married. They didn’t invite us. They didn’t like your father’s dance. *Salawat = Prayers wishing peace upon the prophet and his family.